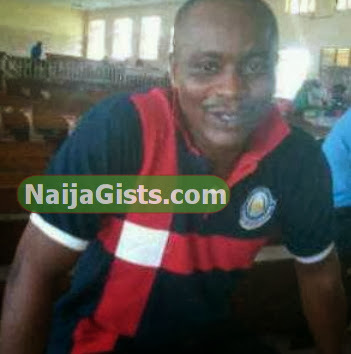 2 days after ASUU called off its strike, a senior lecturer at Olabisi Onabanjo University, OOU in Ago Iwoye, Ogun State has died. The senior professor at the Sociology Department, Dr Segun Onabanjo was killed yesterday by some suspected cultists who broke into his residence in Odomolara area of Ilese Ijebu around 1 am in the morning. Dr Segun Onabanjo was shot at close range by the suspected cult members who carted away some of his belongings. Ogun state police spokesperson, DSP Muyiwa Adejobi, who confirmed the killing of the lecturer said the command was on the trail of the killers who escaped through a nearby bush. “We are already working on some leads; the police engaged the criminals when they arrived at the scene and some were believed to have sustained injuries in the duel. We combed the area and found some blood stains which we hope will help in this case,” he said. Dr Segun Onabanjo‘s corpse has since been deposited in a mortuary in the area. So painful my lecturer RIP. He actually was a terror to students. This is unfair it’s only God that can eliminate cultism in these schools. cultists is another form of terror in university of nigeria, govt,kindly put death to all cultists, parent send them to read not to form a killer group,RIP lecturer. The man died honourable ,nigerian govt should legalise the use of assault rifle for individuals . May Your Soul Rest In Perfect Peace (RIP) my lecturer to be…..
Mr Onabanjo is not a wicked person but a policy man to the core! 2013/2014 will miss u more. May your gentle soul rest in peace. Sun re o!